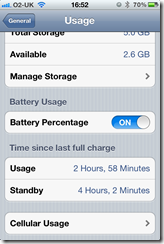 The ‘battery life’ issue which many users have experienced – in which you moved from a 3GS or iPhone4 that could cope with a single daily charge, to an iPhone 4S that needs a minimum of two charges to make it through a full day of heavy use – has seen no resolution. Apple’s release of iOS5.0.1 was due to fix the issue, but it was more or less immediately evident that it didn’t – and so 4S users have continued in their outcry on the web. Whilst there’s been no explicit statement from Apple as to the cause (why would there be? ), the consensus seems to be it something in the antennae – iOS5 on the 4S (but not on the iPhone 4, oddly) disabled the toggle for 3G, so we’ve been unable to test if its that antenna or something more fundamental to the phone. 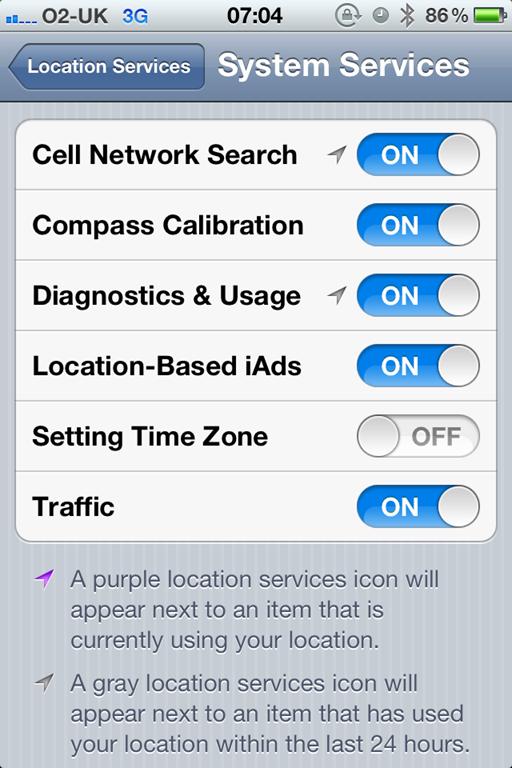 But I’d guess the problem lies there, as well as the pervasive GPS integration (which at least you can turn off). 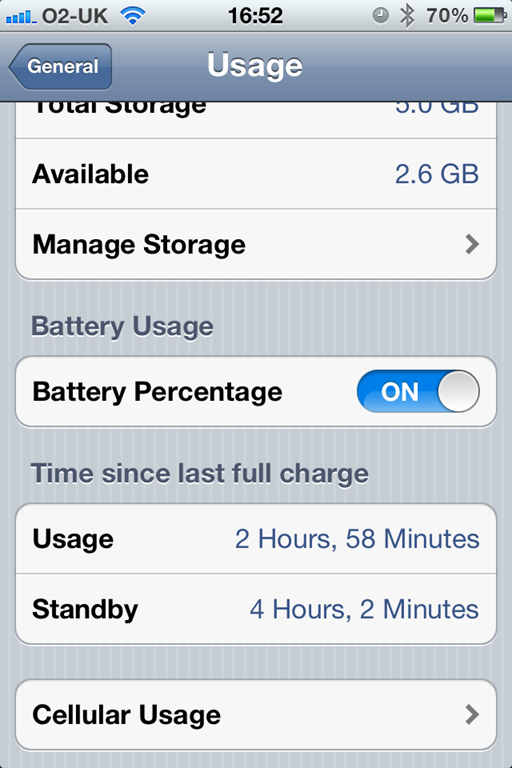 Has anyone got any hints and tips about extending the battery life on your 4S? 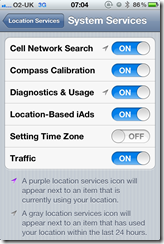 I’ve disabled location services on a lot of services (see image below), including the system service for setting the time zone (which seemed to be persistently ‘on’), but other than that, nothing I’ve done seems to have made any noticeable difference. Speed. If we are getting throttled, is that a bad thing?